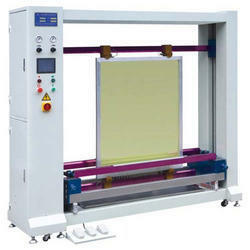 We are introduces the fines and most flexible range of trouble free semiautomatic flatbed Screen Printing machine. The machine is easy to setup; easy to control gives maximum stability at full production speed with top quality prints and with accuracy required for high quality screen printing. Squeegee head on hardened steel shafts with linear bearing motion to give accurate and vibration free squeegee movement. Pnenumatic measurable squeegee pressure adjustment. Applications: Flat surface printing on ceramic Tiles Transfers, printed Circuit Board, Transfers, Paper, Stickers, Metal Labels, Membrane swtich Printing, Commercial screen printing etc. 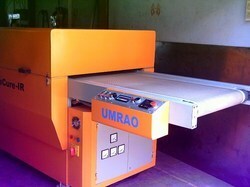 We introduces unique horizontal drying system which helps to maintain emulsion thickness equally all over the screen. Drying cabinets mounted in roller bearing for easy emulsion portion. Humidity, air can be vent out with adjustable ventilation provided. 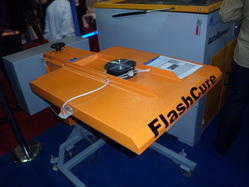 We export IR Flash Cure (For Textile, Garment Printing) that is composed of auto and manual switches. Developed in line with international quality standards, our range is acclaimed for optimum performance and durability. It has a control panel, which is operated through battery. We also provide customized solution on our range as per the specification by clients. We are offering infra red curing unit. 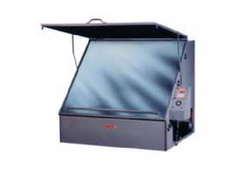 Our uv/ir combo curing unit is widely appreciated for high efficiency and precision functioning. Fabricated using quality tested raw material, this unit is composed of imported gear box, teflon coated, antistatic (ptfe) belt and rubber lining rollers for belt. It is extensively used in pharmaceutical, chemical and food industries. Air control valve provided for easy change over between uv and ir function. Conveyor speed & uv system are integrated with each other for safety purpose. Conveyor driven by ac motor with variable frequency drive for fine speed settingimported gear boxteflon coated, antistatic (ptfe) beltrubber lining rollers for belt. 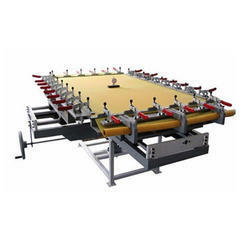 We are offering angular type screen exposing machine. Our angular type exposing machine is built from square tube pipe frames. This exposing system offers remarkable combination of performance control and safety features engineered to keep glass surface cool and uniform while exposing from center to corner of the frame. Top blanket frame movement via gas cylinder assists in easy, smooth & safe operation which is maintenance free. As the name suggests, our Mechanical Stretching Machines are used for stretching in four directions by spinning one wheeled handle. It doesn't require electrical power due to its complete mechanical design. Hence the production cost is reduced. To count on further, it has the features of low maintenance, special toggle design, double V-groove clamps and capability of stretching multiple frames. 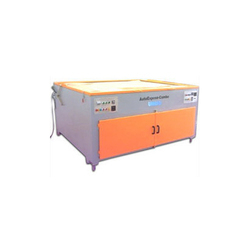 We offer IR dryer that is a screen printing machine extensively used for table prints. Precision engineered using advanced technology, the machine is appreciated for long working life, abrasion resistance and sturdiness. Digital display with digital keypad is provided and energy costs is reduces by high volume circulation blower. 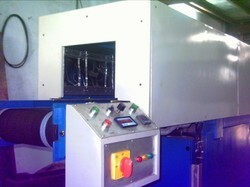 We are offering Coating Machine to our clients. 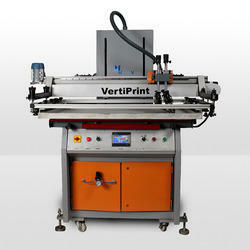 We are a promising exporter of post press unit, pre-press unit & printing unit. These are widely acclaimed for compact design, precision functioning, low maintenance, high efficiency, easy installation & long service.